The sidewalk planter in front of our house! 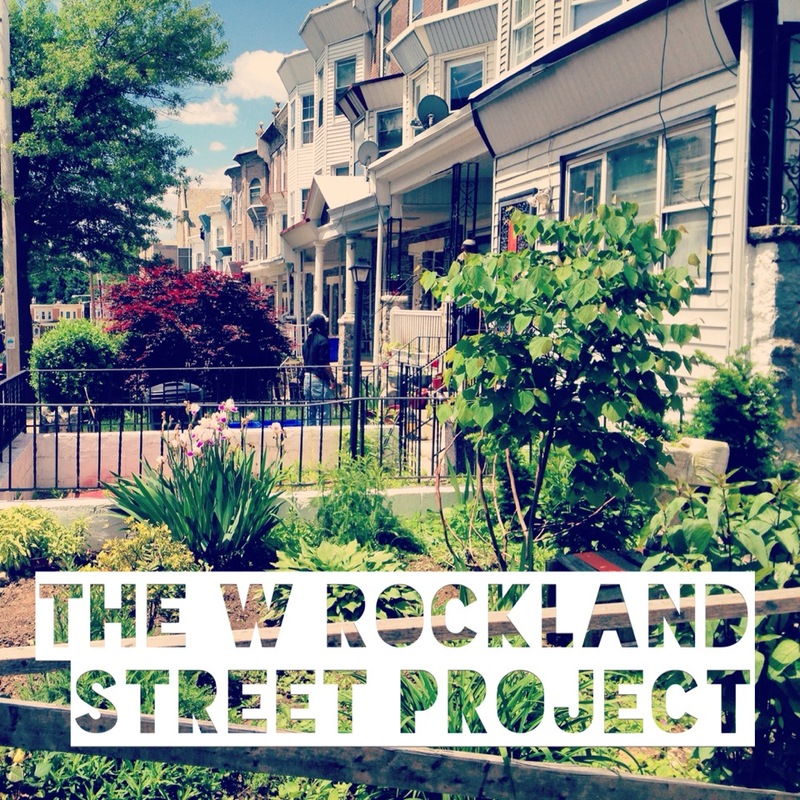 You may have noticed West Rockland Street has a lot of flower planters lining the sidewalk. You’d almost think you were walking along Germantown Avenue in the Chestnut Hill business district 🙂 So how did it happen? Last year, a few households planted pots and set them out. Initially there was some fear that the planters would be stolen, broken or wrecked by kids. But, that didn’t happen. This spring, Aine included sidewalk planters as a packaged item in the annual Grow This Block! planting day and a few more households joined the beautification effort. The idea really started to catch on as participation grew. Other residents admired the work of their neighbors and by mid-summer, more households joined the sidewalk planter club. There are now over a fifteen planters lining the block, including five pots along the perimeter of the vacant lot at the corner of West Rockland and Greene Streets. To make the planters durable, residents weighted the pots down with heavy rocks and planted a variety of heat loving annuals. Three households also planted empty tree pits with full sidewalk gardens. Amazingly green! Looking up West Rockland Street. Flower planters and sidewalk gardens are a motivating tool against blight and help brighten up the neighborhood. By setting beautiful examples and making it easy for people to get involved, we were able to get high participation. Aine purchased supplies in bulk and made a package deal (see the flyer below). For just $20, residents could purchase a planter with potting soil, plants, and rocks for the bottom. Residents then planted their own pots, which inspired people be creative and take ownership of their hard work. Our planter packages were offered at a discount thanks to donations and support from a 2013 Philadelphia Activities Grant, awarded to the block by Councilwoman Cindy Bass. You can also reduce costs by buying in bulk, growing plants from seed and keeping an eye out for sales. If the sidewalk planter project can work on a little block in Southwest Germantown, then it can work anywhere. Get a few neighbors growing and create demand. SEE A FULL GALLERY OF PHOTOS ON FLICKR! JuJu biking by Aine’s planter. Photo by Ann Doley. Aine and Jamir tending our flower pot. Cobblestones rescued from Germantown Avenue construction. A new sidewalk garden grows. In the fall, a new street tree will be planted in its place.